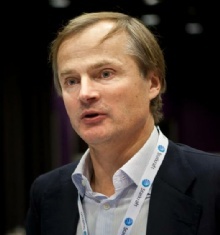 Øystein Stray Spetalen is a famous Businessman from Norway, he is 56 years old and still alive, born July 17, 1962. He is a Norwegian investor and trader, self-made ​​billionaire, and initiator of the establishment of the Media Fund Offer. He grew up in Sandefjord and started to trade stocks in the 9th grade. He graduated at the Technical College. Stray Spetalen offered together with Petter Stordalen to buy Union paper mill in Skien, when the Norwegian Forest would put it down. Through his company Union Ltd, they bought two later a significant shareholding in the Norwegian Forest. The factory was still closed. The shareholding was sold with great loss. In April 2006 it was known that the Stray Spetalen, together with Petter Stordalen considered buying all or part of the English football club Liverpool FC. This was never realized. The club was later bought by Tom Hicks and George Gillett. In 2009, Spetalen ranked by the magazine Capital as Norway 50 richest person with a fortune of 2.6 billion. He is born under the zodiac cancer, who is known for Emotion, Diplomatic, Intensity, Impulsive, Selective. Our collection contains 1 quotes who is written / told by Øystein, under the main topic Motivational. "Do what you do best, and you will succeed"